"If a child survives an abortion, should it be given nourishment and medical care?" asks Ron DeSantis (VIDEO). 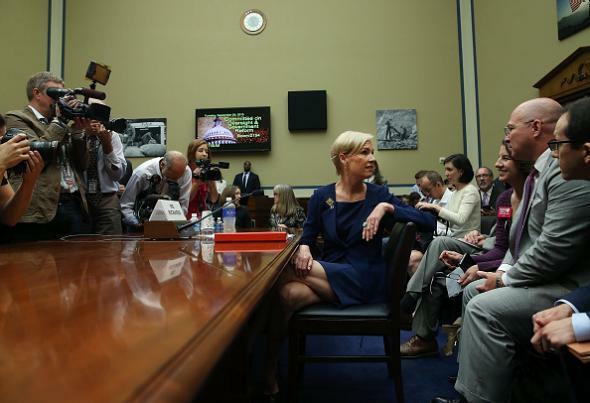 Planned Parenthood president Cecile Richards speaks with aides before today’s House hearing. Richards: I can say at Planned Parenthood, I’m aware of no instance—we don’t provide abortions after viability, so, certainly in my experience at Planned Parenthood we haven’t ever had that kind of circumstance. Pro-life activists have been known to highlight the stories of individuals who survived abortion attempts, though such incidents are often associated with late-term saline “instillation” abortions, which are almost completely unheard of at this point in the United States. DeSantis, incidentally, has said he will run for the Florida senate seat that will be vacated in 2016 by Republican presidential candidate Marco Rubio.